When you call on DFW Security Advisors for home security and protection, you know you are dealing with a team you can really count on to deliver peace of mind. 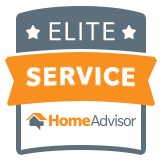 Our company has an A+ rating with the BBB, as well as a string of 5-star reviews on Homeadvisor from our happy customers. Established in 1991, we have proudly been serving the Dallas, Fort Worth, Irving, Garland, Plano, Lewisville, TX and surrounding DFW Metroplex areas for nearly three decades. Customer service is high on our business agenda, and you will always talk to the same person when you call. Your complete safety and security is our priority. That’s why we only offer the very best and latest, state-of-the-art equipment, with the skills and the know how to set it all up in the most effective array possible. The safety and protection of you, your loved ones and your property is paramount, so us call today at (214) 764-9090 to discuss how we can help you.